Medical Assistant Alejandra Bucio, left, and Patient Care Associate Mary Garcia, center, with this year’s Medical Spanish volunteers. 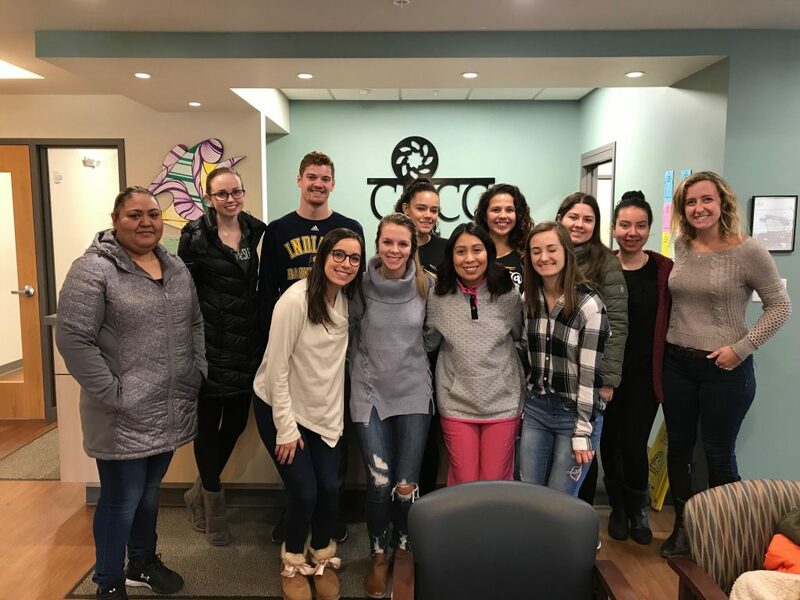 The Community Health Care Clinic is again hosting students from the Medical Spanish class at Illinois Wesleyan University’s School of Nursing. Throughout the spring semester 11 students will volunteer at the Clinic to practice and expand their Spanish in a medical setting. Many Clinic patients are Spanish speakers with limited English speaking ability. Students gain confidence and competency as they room patients, translate for medical providers and handle phone calls in Spanish. The program is now in its fifth consecutive year. Many students return to volunteer at the Clinic after completing the course, making this partnership with IWU invaluable for our staff and patients.